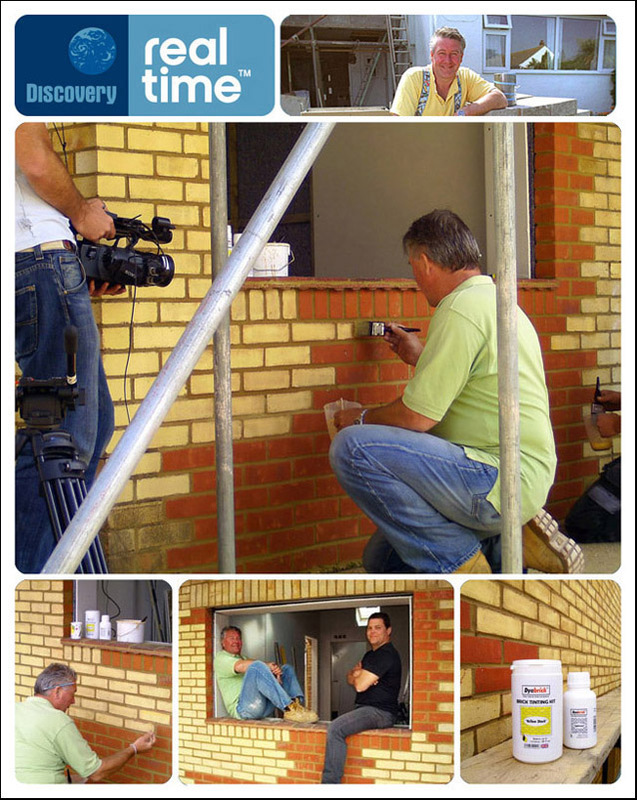 Tommy’s television series ‘Tommy’s Fix Your House For Free?’ is being aired on ‘The Home Channel‘ in South Africa. See how Tommy was able to save over 8000ZAR by using two of our Brick Tinting Kits! 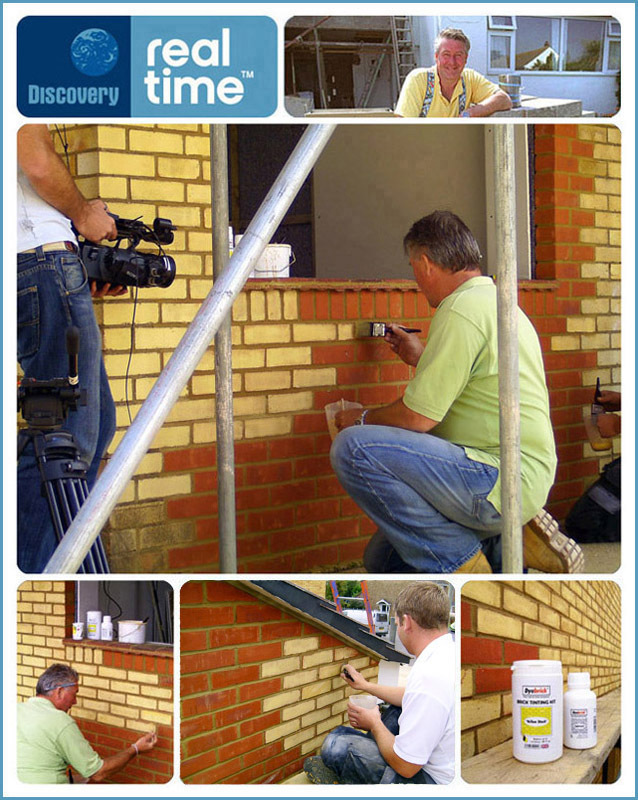 The programme featuring the Dyebrick Brick Tinting Kit is aired on Monday 27th August at 8.00pm. The show is entitled ‘Lesley’s Holistic Therapy Room’ and will be the 4th episode in the series. 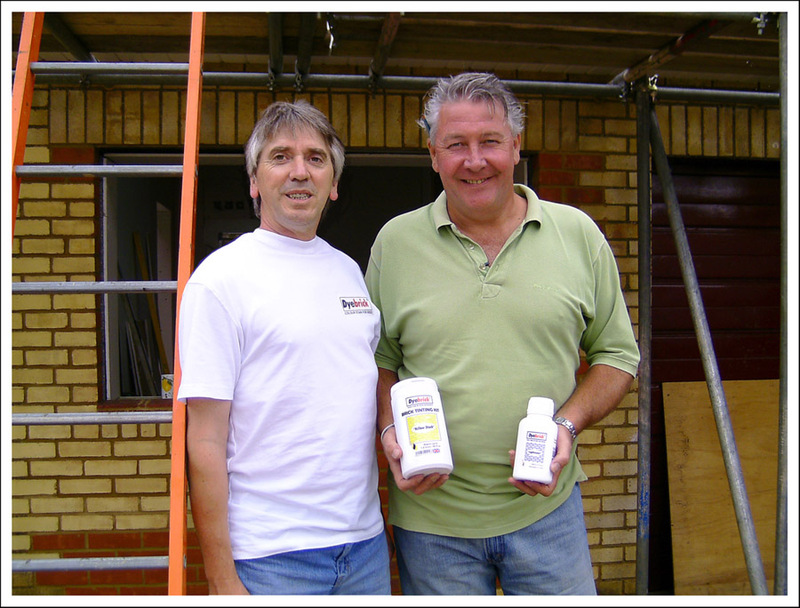 Dyebrick came to the rescue when celebrity builder Tommy Walsh and his sidekick Liam Collins were having difficulty searching for bricks of a particular colour for a new television programme. Dyebrick were approached by one of the UK’s leading independent television production companies, Flame TV, to supply and offer advice in respect to changing the brick colour to save money for a particular project in a renovation programme based on reclaimed and salvaged materials. ‘Tommy’s Fix Your House for Free?’ due to be aired on the Discovery Channel Realtime will be hosted by Tommy Walsh, Britain’s best loved builder and his sidekick Liam Collins. Liam is an expert in reclamation and sourcing of surplus and discarded building materials and is often found rummaging through skips and demolition sites ~ with the owners permission of course! Dyebrick were able to fit the remit of the programme by allowing Tommy and Liam to choose the cheapest available bricks and then colour them to match the existing brickwork. During the programme Tommy and Liam help a woman save £5,500 by reclaiming materials that would otherwise be discarded and by using Dyebrick they were able to make a further saving of £500. The bricks were changed from red to yellow using two Brick Tinting Kits.